An information counter in a China Airlines lounge at Taiwan Taoyuan International Airport in Tapei, Taiwan. 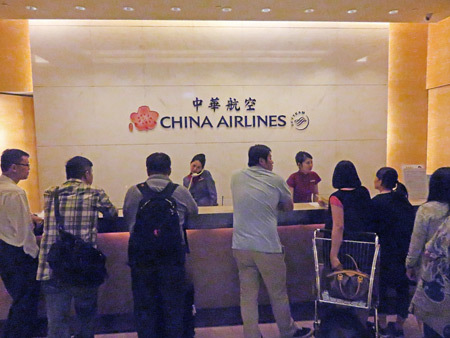 By the time we entered Tapei airspace around 12:00 am midnight, the pilot announced there was a lot of air traffic, which meant we had to circle around the city a few times in a holding pattern. Once we did finally land, it took forever to taxi to the gate, because we kept having to stop because of the aforementioned traffic. Then, to add insult to injury, we had to wait close to half an hour at the gate before we could de-plane because the crew and equipment were not ready. Around 1:30 or 2:00 am, we finally made it into the gigantic Taiwan Taoyuan International Airport, where it was a mighty long hike–at least a half mile–to gate D1 for my connecting flight from Tapei to Los Angeles. 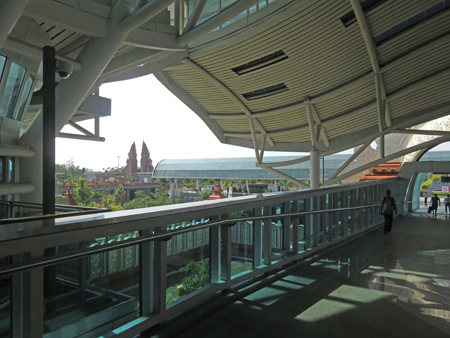 Ngurah Rai International Airport in Tuban, Bali, Indonesia. On my last day in Bali, I set my alarm for 7:30 am so I could pack up my backpack and get dressed and eat breakfat, I mean breakfast in time for my 10:30 am shuttle van to the airport. I had originally planned to take everything out of my backpack and wipe it down inside and out with a damp cloth just in case if any bed bugs set up shop in there. That way, I could avoid transferring them to my bed at home, which would be an utter nightmare, because they’re really difficult to get rid of. Unfortunately, I ran out of time and had to just re-pack the backpack minus the wipe down. Let us spray, I mean pray that there are no bugs in there! 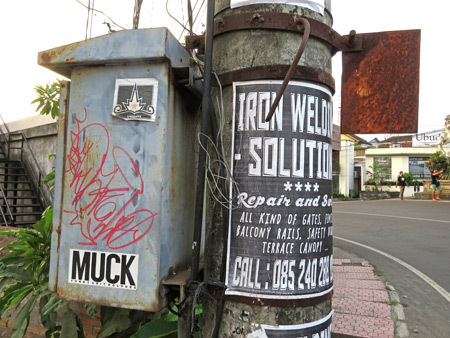 Wordy oxidation in Peliatan, Bali, Indonesia. 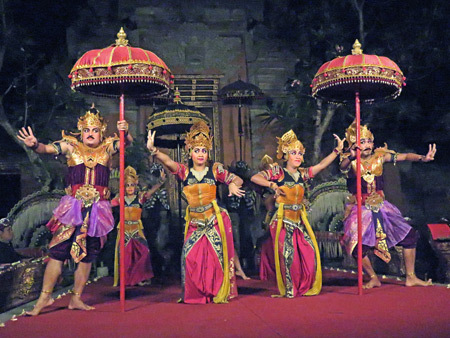 Sekaa Gong Jaya Swara Ubud perform the Tedung Agung dance at Ubud Palace in Ubud, Bali, Indonesia. 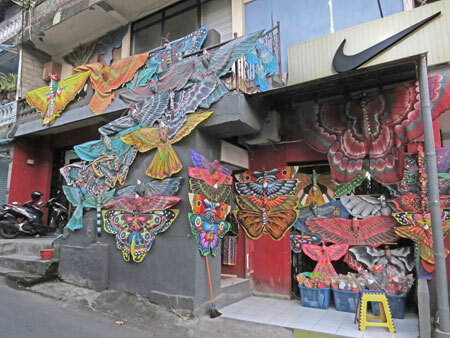 A kite shop in Ubud, Bali, Indonesia. I took the day off to catch up on Photoshopping, writing and posting updates of the previous few days of this travel journal. This is the only photo I shot all day. Words and photos ©2015 Arcane Candy. 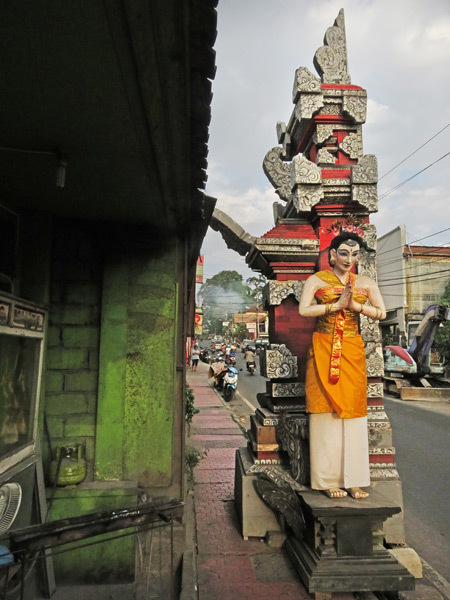 Half of a temporary Balinese split gate on Jalan Raya Ubud in Ubud, Bali, Indonesia. 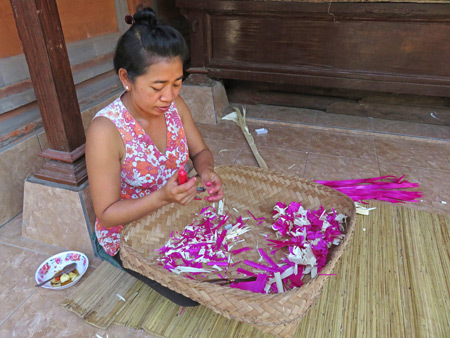 Ketut makes some Hindu offerings at the Arjuna 3 Guesthouse in Ubud, Bali, Indonesia. 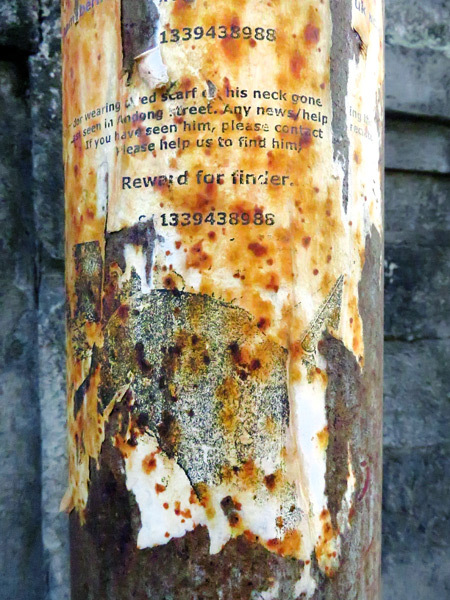 A rusty flyer in Ubud, Bali, Indonesia. 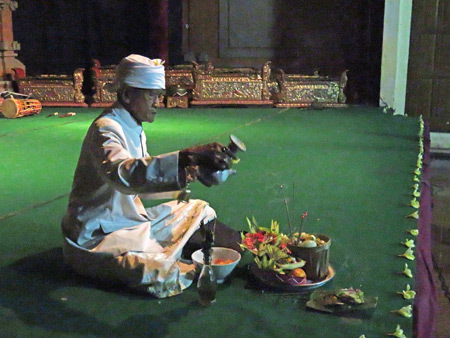 A Hindu priest blesses the performance space at Jaba Pura Desa Kutuh in Ubud, Bali, Indonesia. 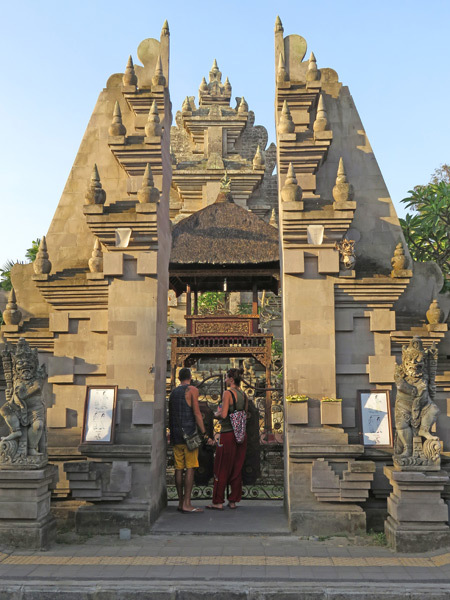 A gate at Pura Desa in Ubud, Bali, Indonesia. You are currently browsing the Arcane Candy weblog archives for September, 2015.